Are you in Whangarei or Northland and need a car wrecker to buy your unwanted, junk, scrap, broken or crashed vehicle? You have come to the right place as car wreckers Northland is the best Japanese car wreckers in Northland. In fact, we pay between $250 and $15,000 cash in hand depending on what vehicles are they. As a result of this , we are number one in terms of pricing for unwanted vehicles. In order to book a free car removal and to find out how much is your vehicle worth, call car wreckers Northland on 0800 392 392 or complete the contact form on this page and we’ll get back to you. On the other hand, you can also find out more information about our car wreckers Whangarei or Northland services below. We are Auckland’s leading Japanese car wreckers with a fleet of car removal specialists on the road covering the widest possible area. This includes Whangarei and Northland. No matter wherever you are, we will remove your unwanted vehicle for free. Plus, we are reliable, our turnaround times are fast and we pay top prices because of all these factors we are number one wreckers in Northland. Car Wreckers Northland can collect any vehicle from your Whangarei or Northland Property for free. This includes Toyota, Nissan, Honda, Suzuki, and more. 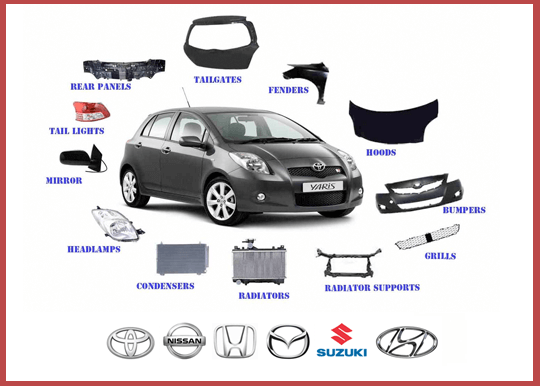 Running or not, rusted, busted, bashed in, or incomplete – we don’t mind as we buy anything of any makes and any condition. This is what makes us the best Japanese car wreckers in the area. What if the vehicle you want to get rid of is a 4wd, van, truck, or light commercial vehicle? Well, it does not matter of any brand, car wreckers Northland wants it. Plus, large vehicles are usually worth more money. Therefore, get in touch for a quote or call toll free number 0800 392 392 .